Banning ethnic studies in Arizona is wrong! Draconian policies in Arizona continue to move the state backward as HB 2281, an anti-Latino bill signed into law by Republican Gov. Jan Brewer last May, went into effect Jan. 1. The measure bans ethnic studies classes statewide, from kindergarten through 12th grade, that promote the teachings of civil rights leaders such as Gandhi, Martin Luther King Jr. and Cesar Chavez. The new law was really pushed by Arizona’s conservative Republicans to target the Tucson Unified School District and its Mexican-American Studies or Raza Studies program. Currently the ethnic studies program covers African-American, Mexican-American, Native American and pan-Asian studies. The courses help students to better understand their own culture and the cultures of others. The program offers specialized courses in the above themes focused on history, literature, civil rights and social justice. For years, former State Superintendent of Public Instruction (Arizona’s board of education) Tom Horne pushed to end the ethnic studies curriculum in Tucson. Horne, a Republican, was sworn in as the state’s attorney general Monday. Before leaving office as superintendent he announced the Tucson district program violates the new law. If school districts in the state are found in violation of the law, the Arizona Department of Education can withhold up to 15 percent of the district’s state funding. The Tucson Unified School District is 56 percent Latino with nearly 31,000 Latino students and about 53,500 students in total. Where does the conservative mentality come up with these ideas of students becoming anti-government, prejudiced and running in packs? Maybe it comes directly from them, namely the state GOP, including Arizona’s right-wing tea party affiliates. 1. The current graduation rate of high school students in the ethnic studies program is 97 percent. 2. Students in the program are three times more likely to pass Arizona’s Instrument to Measure Standards (AIMS) reading section. 3. Students in the program are four times more likely to pass the AIMS writing section. 4. Students in program are two and one-half times more likely to pass the AIMS math section. The ethnic studies program in the Tucson public school system was originally created to help settle a race discrimination lawsuit in the 1970s. Officials with the Tucson Unified School District say the courses were part of a measure to reduce racial disparities across the school system and end a court-ordered desegregation decree. Civil rights activists note the fight to include ethnic studies courses was a battle against racial injustice and inequality in the public school system to begin with. In the settlement it was agreed that an African American studies program would be created. In 1997 a Mexican American studies program was added. The new law banning such courses does not cover college or university courses and it’s unclear how it will affect any other school districts besides Tucson. 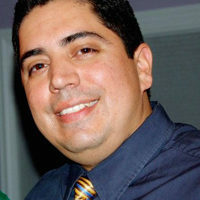 Tucson’s Mexican American Studies Director Sean Arce and nine teachers within the department filed a federal lawsuit against the law in October. The educators are opposed to the crackdown and claim the state law violates provisions of at least two constitutional amendments, including freedom of speech. The teachers have asked for an injunction, but a judge has not ruled yet. During the 1960s, male Chicano students were advised to become auto mechanics, while the female Chicana students were told to become secretaries after high school. The idea of a college education was only a dream back then, but today it’s a reality. 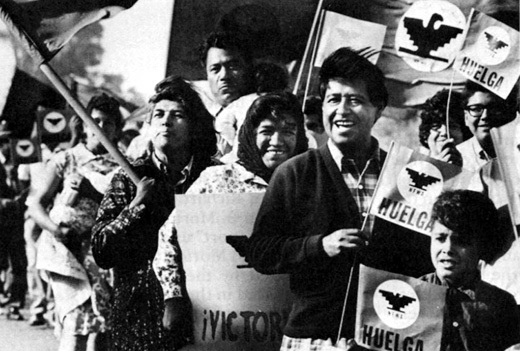 Maybe it’s time for another Chicano/a student movement.